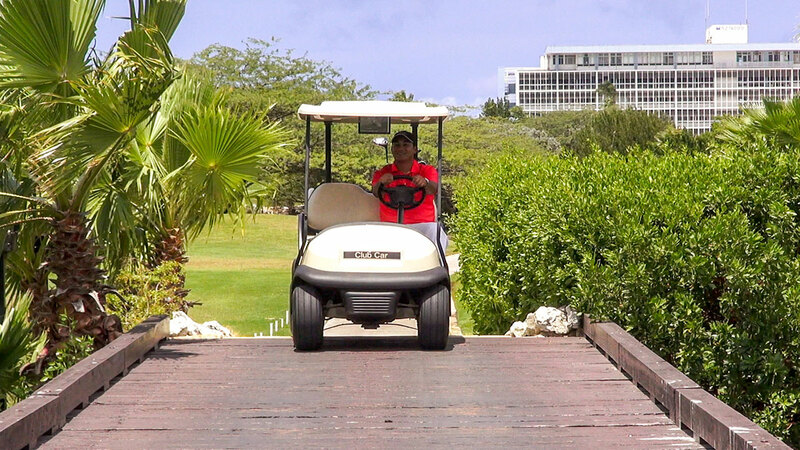 Opened in 2004, The Links at Divi Aruba offers a breathtaking and coastal nine-hole ocean view golf course, which wends through brilliantly maintained lagoons. This Litten/Viola designed course contains par three, four and five holes with eco-friendly Paspalum grass and lush putting greens. Paradisiacal “Birdie” and “Eagle” styled villas surround the course — providing that elegant touch to the links. Residing within the golf club house is a comprehensive pro shop; as well as Mulligans Golf Café, Bar and Restaurant; and, Windows on Aruba — both of which offer savory steaks and fresh seafood.